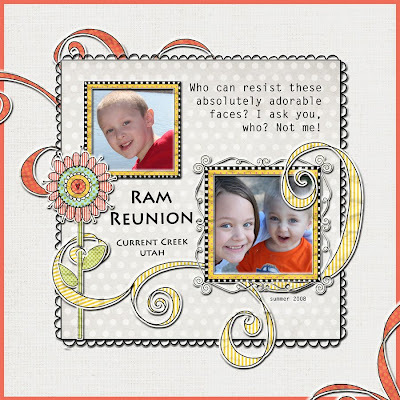 I found this kit, Doodly Patterns, as a freebie at a digital scrapbooking site called Weeds & Wildflowers. I really love it! And I'm happy with what I was able to do with it. I have come to find that I digi scrap best when I have someone else's layout to look at, and then tweak it to my own needs. To see what I mean, check out my inspiration which is a page by Kenna aka: ratherBscrappin, a designer for W&W, entitled "The Boys of Summer." To download the Doodly Patterns freebie kit, click on the link and when you get to the W&W blog, click on the pic of the kit, and it should start downlaoading from there. 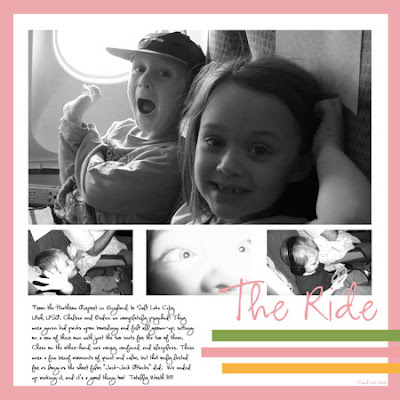 When building this page, I was feeling a bit discouraged, because I couldn't figure out how to put a grungy edge on as a border to the background paper, like in Kenna's page. But eventually, I realized that my page was going to need something more what with the vibrant colors my kids were wearing in the photos. So I ended up using the orange from the flower as the color for the thin border. It just seems to finish it off well and bring it all together. The above is a great shot I happened upon, with no planning or skill involved. Just pure luck. I say this because I took this shot of him, along with a million others, after just opening up my new Cannon Rebel DSLR camera. I had put in a newly charged battery, turned the "on" switch on, and started pointing and shooting on "auto." And this is one of the great shots I ended up catching. Thanks though to my husband who was tickling my son to get some fun laughs and smiles out of him (instead of those fake-and-let-me-pose-a-smile-for-you- smiles). 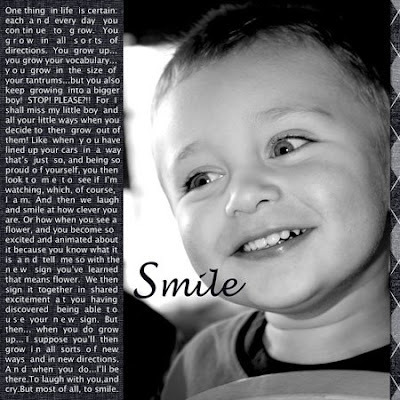 And this lovely page was totally scraplifted from the mag Clean & Simple, Scrapbooking The Sequel, by Cathy Zielske. Love her designs. They're very clean....and simple. What can I say? It's true! So...these pics were of our airplane ride home from England, a very long couple of flights indeed. All I can say is that the next time we attempt it, at least the baby will be older than he was that first time, and hopefully will be more manageable and agreeable (and actually sleep!). Well, I've been gone for a while now, but have decided that I really need to get myself back in the loop! I've been working on some fun pages that some of you have already seen, but I'm working on some more that I'll be posting soon as I finish them. 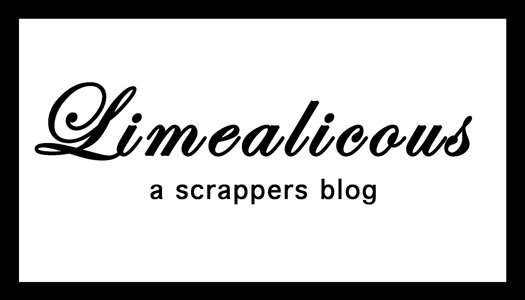 Gingerscraps is a blog that is consistantly listing all sorts of places to go for freebies. Funky Playground Designs is a site that designers post their kits for free downloading for a limited time. So...check 'em out before they expire, and happy digi-scrappin'!